Archery is a popular activity for all three camp programs. A team of counselors who have undergone certification as archery instructors leads these activities. 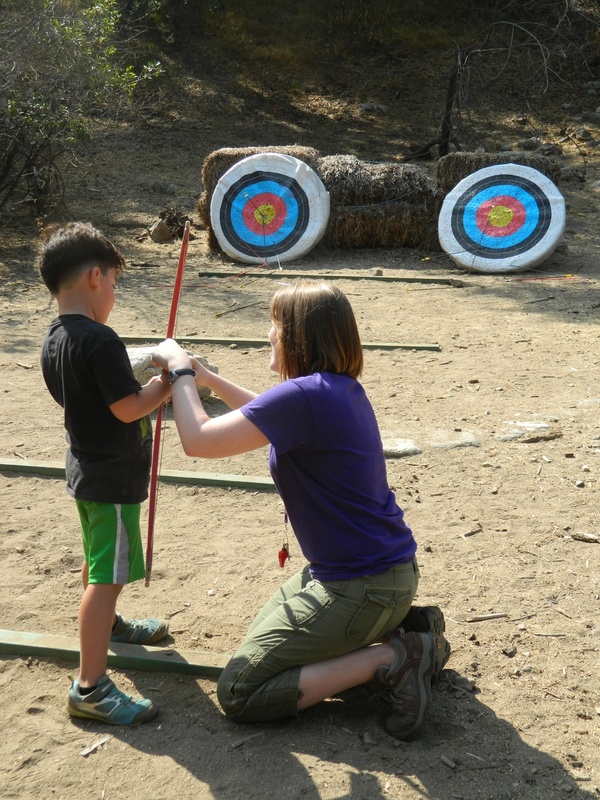 Summerkids and SK-PreK have their archery range at our Nature Center, where a grove of California native oak trees serves as a stunning backdrop.Summer Challenge has its own archery range, just beyond the Zip line, on the Lower Field. Archery is a "group activity" for the SK-PreKers early in each session, so that each child gets a chance to try it out. Then later we offer it as a choice, so that campers who are particularly keen on "bows and arrows" get ample opportunities to hone their skills. 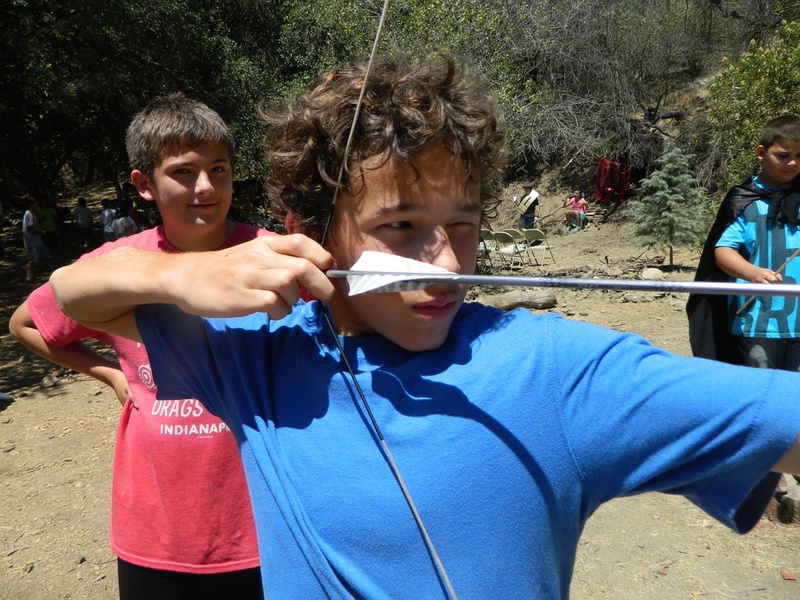 At Summerkids, Archery is a choice each period. 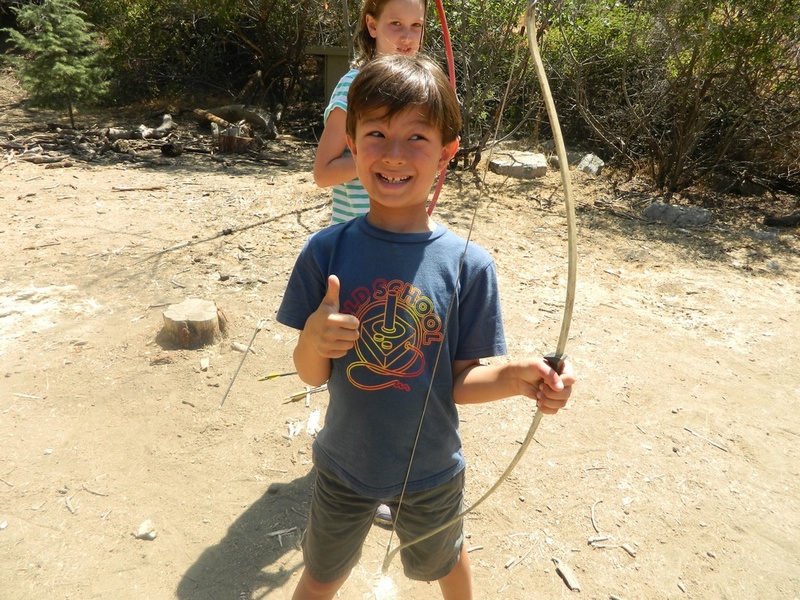 We split up campers by age for Archery activities, so that we can tailor their instruction and participation to their individual needs and skills (and also so that those campers don't miss chances to swim or hike with their age group!). For the Summer Challengers, we up the skill level, sometimes even making targets, quivers and arm-protectors as part of our activity mix.